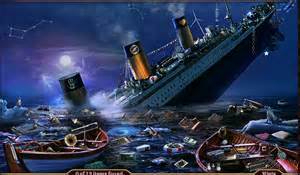 It was an otherwise calm night at sea as the Titanic moved forward on its maiden voyage, all aboard blissfully unaware of the horrors to face them in the night ahead. The ship was strong, unsinkable—so they were told and so they believed. Nothing could disturb the vessel of luxury and glory. Close to midnight, the fantasy world of the floating palace was shaken. Initial reports would claim it was an iceberg that dealt the initial deathblow to the ship. But what was it that ultimately led more than 1,500 people to an icy grave in the depths of the sea? While many factors contributed to the tragedy, one of the recurring themes of each failure was pride. There was pride on the part of the ships owners, who for mere aesthetic purposes lessened the number of lifeboats on board in favor better views. There was pride on the part of the crew, who for the sake of expedience failed to execute a safety drill for the passengers. And there was pride on the part of those passengers who considered their own lives more significant than the others—clamoring for their own spot on a lifeboat while leaving others to face certain death. The tragic story of the Titanic continues to haunt listeners over a century later. I can’t escape that enveloping, somber cloud as I examine my own heart in light of the story. What would I have done were I a passenger on that sinking ship? If my own life, or that of my precious family, were at stake—would I consider others better than myself? I pray that I would, but we never know what we’re made of until tragedy strikes. I do know that true love is humble, considering others better than itself. It does not clamor for its own survival as others are left fighting for life. It does not sit idly by, secure in its lifeboat—watching without emotion as others slip to the depths of the sea while knowing there was more than enough room for rescue. As for me, I have no plans to board a luxury cruise ship. The thought of being trapped and seasick on a floating vessel with nothing but miles of water surrounding does not appeal to me. But what of those people surrounding me every day? How often do I put their needs before mine? Do I walk on in pride, considering my own needs and interests greater than theirs? Or am I willing to humble myself and consider others desires above my own? Posted in Faith, Inspiration, Relationships and tagged 50ShadesOfTrueLove, Humility, Love, Pride, Titanic, Tragedy on March 15, 2015 by jenna fernandez.